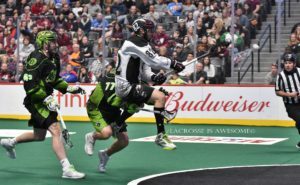 The NLL season is slated to begin two weeks late given the CBA negotiations between the PLPA and the National Lacrosse League. The fans patiently waited, some skeptical that an agreement could be reached and others counting the hours until opening day. The NLL will make up the games that were cancelled although originally the decision had been that they would not be played. So, the teams have been busy signing, trading and setting their rosters. 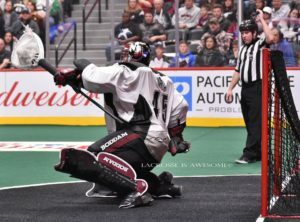 With two new teams entering the league for the 2018-2019 season, the Colorado Mammoth due to the postponement of the season will be the first to play the San Diego Seals and they will be at the Pepsi Center for opening night December 22, 2018. Let’s take a look at what Colorado has done so far this season. During the NLL Entry Draft, Colorado selected Kyle Killen from RIT in the second round and 22nd overall. He’s a righty forward and was a teammate of the Mammoth’s Ryan Lee who was picked up in the first round of the 2017 NLL Entry Draft. Killen is a great scorer and will add depth to the defense. The Mammoth needed to pick up a player to fill the goal scoring gap they had in the 2017-2018 season and Killen could be the answer. The Mammoth picked up Dennon Armstrong a lefty forward in the third round and 30th overall. He played for the Coquitlam Adanacs coached by Mammoth head coach Pat Coyle, who won the 2018 Canadian Junior A Box Lacrosse Championship. In the fourth round, Colorado would select a player who was willing to do whatever was needed to don the burgundy and black jersey. With their 48th pick overall, they would choose former Brock University righty defenseman, Dylan Laprade. Laprade made the comment “All I want is opportunity, I’m not the flashiest guy. Anything to improve my game, I’ll do it.” He’s already begun preparing for preseason by watching hours of Mammoth game film. In their final selection, sixth round and the 72nd pick overall, the Mammoth selected righty forward Steven Lee who played three seasons with the Burlington Chiefs in the Ontario Junior A Lacrosse League. Let’s look at where the Mammoth stand as of their roster on opening day of Training Camp and the veterans that have been signed as of today or have been picked up by either San Diego or Philadelphia in the expansion draft. At the end of the 2017-2018 Colorado signed “Lightning” Joey Cupido to a new five year agreement. 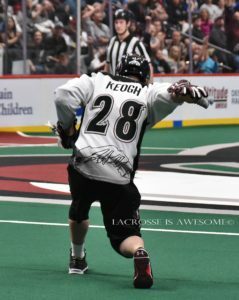 Cupido was the Assistant Captain of the Mammoth in 2018; is a two-time NLL Transition Player of the Year (2015, 2018); a two-time NLL Fan Choice Award recipient (2015, 2018); a two-time NLL First-Team All-Pro selection (2015, 2018); and was named to the NLL All-Rookie Team in 2013. On July 16, 2018, in the fifth round of the expansion draft and 10th overall San Diego picked up Bryce Sweeting, defenseman for the Mammoth and traded him to the Buffalo Bandits in exchange for Ethan Schott and their second round selection, 17th overall in the 2018 Entry Draft. Closing out July, Colorado would designate veteran forward Stephen Keogh as their franchise player as per Section 7.2 of the CBA. Next up, on August 2, 2018, Colorado signed goalie Brandon Humphrey and defenseman Rowan Kelly to one year agreements; and on August 7, 2018 the Mammoth signed defenseman Callum Robinson to a one year agreement; and placed ten year time veteran Zack Greer on the Retired List. Greer announced his retirement on June 28, 2018 and here’s what he had to say, “I want to thank my teammates, coaches, management, behind-the-scenes staff, and the fans for the incredible opportunity to play in the loudest house in lacrosse. It was truly a privilege to be a part of the Colorado Mammoth. It’s probably evident by now, but looking back on my 9 years in the league, what I’m most grateful for are the relationships. There are so many genuine, passionate, and quality people in our sport. I wish I could name everyone individually but I’m thankful to all of those who have been such an important part of this journey. Lastly, I need to thank my family. None of this is possible without tremendous support, generosity and sacrifices from the people closest to me. I can’t put into words the appreciation I have for my wife and daughters who make a crazy commitment week in and week out, my siblings who have been there every step of the way, all of my extended family who are my biggest supporters, my mom who never wants the recognition she deserves and my late dad who first put a stick in my hands 29 years ago and taught me the game. August was a slow month for the Mammoth. 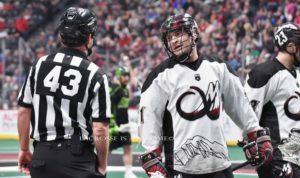 They would sign Defenseman Doug Utting to a two year agreement; and feisty Forward Jacob Ruest to a three year agreement, who in 2018 was third in assists (45) and in points (67) for the Mammoth. who in 2018 scored 12 points (1 goal, 11 assists), tripling the number he scored in his rookie season…with 11 assists to a three year agreement; Defenseman Brad Self who played in 17 games in the 2018 season, scoring 19 points (8 goals, 11 assists) forcing 17 caused turnovers and scooping up 83 loose balls to a one year agreement; and Defenseman Josh Sullivan who forced a career-high of 10 caused turnovers in 2018 and appeared in every game (18) for the first time in his career to a three year agreement. October was another busy month for Colorado. They signed rookies Kyle Killen; Julian Garritano; Dennon Armstrong; Dylan Laprade; and Steven Lee to two year agreements. Also signed was Defenseman Brent Adams who missed all of 2018 with injuries; as well as rookies Josh Toguri and Jeremy Bosher both to two year agreements. In the week after the CBA was reached, the Mammoth would sign rookie Defenseman John Lintz to a one year agreement; and to close it out before the start of training camp, veteran Forward Eli McLaughlin who tied his career-high in goals (29), scoring the third-most Mammoth goals and setting a career-high in power play goals (11), scoring the second-most Mammoth power play goals and the fourth-most NLL power play goals ato a two year agreement. The Mammoth have signed some spectacular talent in their rookies as well as locking in key veterans. With the start of training camp and three weeks until they start their season on December 22, 2018, there will be many changes as they get down to their 20 man roster.